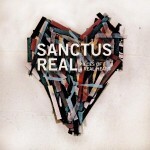 Last year Grammy-nominated, life Dove Award-winning Sanctus Real released a song called ‘Lead Me’. The song is a personal confession and prayer written by lead vocalist Matt Hammitt. Lord, thank you for the many blessings that you have given me, for those that I see and for those that I do not. Thank you for the price that you paid on my behalf and for the new life you have given me. Open my eyes to see and verbalize the little blessings that come especially when I’m walking through dark clouds of difficulty. This song (What Love Really Means by JJ Heller) touches me in so many ways. There have been times in my life when I have been almost every person in this song, troche and it reminds me that God is always there for us and that we are called upon to be His hands and feet. It helps to remind me of those God has used in my life and to open my eyes to those around me where He may be calling me. Where is He calling you today? Who has God opened your eyes and heart to in your life? Video created by gitchika after a sermon at their church (Good job!). Meant to be a reflective/response time.